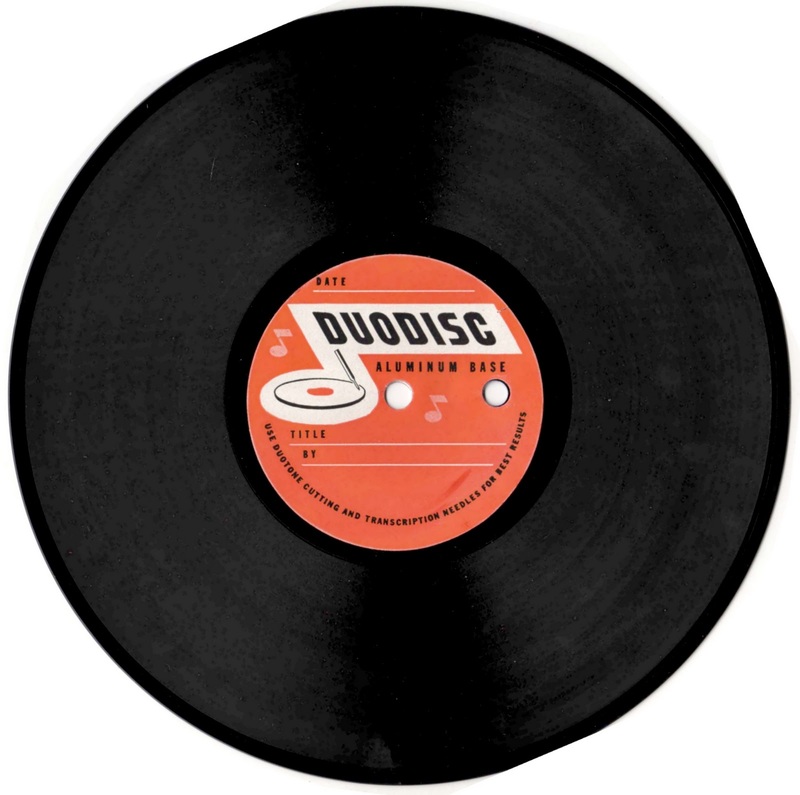 This 7-Inch 78 rpm Duodisc bears no markings of any kind. But the crumbling sleeve had a small scribble in pencil. It appears to read "Earl B" in flowing cursive. I despise cursive. Cursive is is designed for writing notes and letters quickly by hand. It's not particularly quick, and then it's very hard to read so it's more like scribble that can only be read by the writer. Please, engineers of today, write clearly and legibly on your master tapes! I have never personally certified the recording date of a Duodisc. I have found ones attested to anywhere from 1945 to 1952 depending on the label. Like many acetates there is no available labelography. These red labels seem to be early 1950s, possibly as late as 1954. I found a fellow via Flickr who ripped a set and posted them online here. He did a great job cutting the bed noise, it's a set of nice rips. His also date from 1954 and 1955. Those are worth browsing. This song is a country tune of unknown origin, clearly recorded from the radio. Then he tells a joke about Bessie who I believe is a dairy cow. 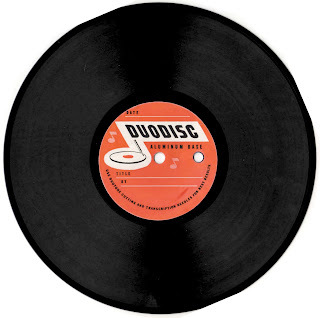 The B-side is a badly recorded room, many voices, lots of racket pretty unintelligible. It was probably recorded at a party. Age and origin remain unknown but as always with this batch I continue to suspect the WFIL-AM Barn dance.